Some parents in America may work the 9-5 shift and are only able to see their children a few hours out of the day. While their time together is limited, it's a sacrifice that cannot be avoided and is one that many can understand and relate to. Imagine the exact scenario. But this time, with the mother, father, or both parents working that same 9-5 shift on an entirely different continent. It was at the root of the very first American dream when the Pilgrims migrated to the U.S in the 1620s for religious freedom. Those who have lived to know oppression in their native lands and long for freedom and those who wish to give their children the many opportunities that they weren't afforded know its risks. They also know its rewards. The number of families that migrate to the U.S has exceeded 13 million over the past 10 years, according to the U.S Census Bureau. The United States. The world's super power. It is the "land of opportunity" and is placed high on a pedestal. And sometimes, in making that attempt to achieve the preferred future, families will undergo separation for months and - many times - years. It is, to be frank, not the best arrangement. 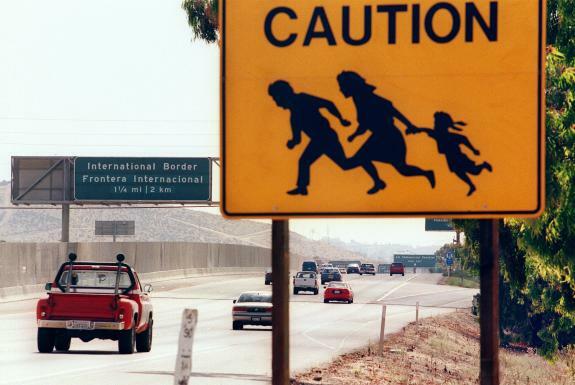 However, many confessed that migrating to the U.S. without their entire family was easier. They could settle down first; then reunite afterward. Pastor Charles Ozuruonye, a Nigerian native, migrated to America with his wife in 1998. 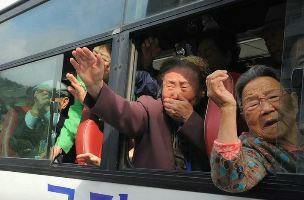 In their home country, they left their 2 sons, who at the time of separation were 8 and 10 respectively. They are now 22 and 24. "I wish they could've been here by now... If we knew what we know now, we would've done it differently," said Ozuruonye. "We filed for them after we got here. If I knew that it would've taken so long, I would've brought them too." Ozuruonye and his wife currently live in New York along with three of their five children. Two of his children are American-born. 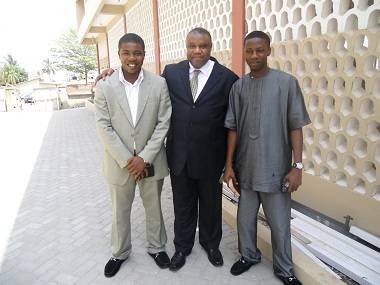 Unlike most families who migrate to America, Ozuruonye is able to travel back to Nigeria to see his sons. He makes every effort to visit annually. In fact, his last visit home was February of this year. Dr. Peter Kleponis of Comprehensive Counseling Services and The Institute for Marital Healing in West Conshohocken, Pennsylvania says keeping in contact is crucial during the time of separation between a parent and a child. Sometimes the child may feel that they are to blame for their parents moving away, but it all depends on their age. "It's so important to have communication with the children. Letters, emails, whatever," said Kleponis. He also suggests that parents "continue communication so that the children know they have not forgotten them and continue reassuring them that the parents are doing this for a better life." The reason for separation should be made clear between the parent and the child. However, sometimes those lines of communication aren't always there, especially if the child is an infant during the split. Yolanda Bailey, 18, grew up in Guyana, South America and recalls the confusion she felt when her parents were not present. Her parents migrated to America when she was just a few months old. As a toddler, she longed for her parents and didn't comprehend why she could not see them when she wanted to. She and her older brother, Errol Jr., lived with several aunts during that time. During the separation, Bailey's parents and a younger sister visited once, sometime between the age of 5 and 7, Bailey recalls. "I would cry for a long time because I always wanted to be with them," she said. "When we finally came to America, I was happy." Although Bailey lacked the physical presence of her parents, they called often. In the meantime, she and her brother were surrounded by her aunts and cousins to give them the familial support they needed. The time the parent spends apart from their child has a great impact on their state of mind. Sometimes it can result in resentment. Sometimes the child may feel that their once absent parents should not have authority over them. Or, sometimes, in the case of Bailey, the child may adapt with no rebellion during reunification. But, does this child not have a right to feel abandoned? "I consider it an emotional response, not a right," said Dr. Melrose Rattray, a professor at Medger Evers College in Brooklyn, New York. "You feel the distance and the lack of connection. What is required is an understanding of the time lost." A Jamaican native, Rattray began her research on the subject of immigration in the late '80s, early '90s. Her focus was on the psychological effects of the children involved and the implications of parents leaving. She and Dr. Claudette Crawford Brown, a University of the West Indies academic, worked to develop the concept of "barrel children" - children who have been left behind by parents who seek opportunities in foreign nations. 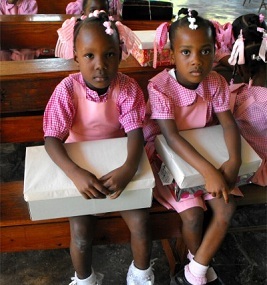 The children receive material possessions like sneakers, canned foods and electronics from their parents via shipping barrels in lieu of direct care. Crawford-Brown, in her seminal publication Who will save our children: The plight of the Jamaican child in the nineties published in 1999, explains that these children have surrogate parents like aunts, grandmothers and older siblings who are often unable to give them the emotional support that they need. These children don't, after all, belong to them. The children may grow to carry a resentment for the parent who left them in the hands of sub-par caretakers, even though it proves to be in child's best interest in the long run. "Our children won't remember where we were, they only remember where we were not," said Rattray. In her soon to be published work on this phenomenon, Rattray addresses the recurring themes of disconnection and communication post-reunification. 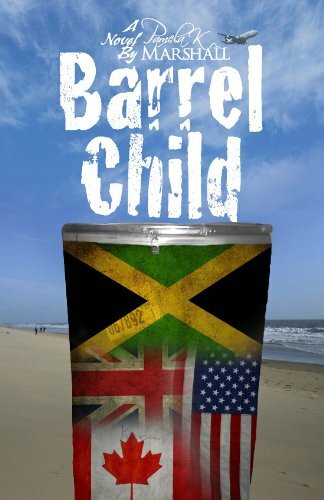 Jamaican author Pamela K. Marshall decided to create a work of fiction from this very plight, entitled Barrel Child. The book was released this year and follows the story of a girl's struggle to find her place in today's world as a barrel child; she then fights to become a good mother to her own children. So, is it best for parents to emigrate at a time when their children are more ready to handle the matter? "The younger the child, the more resentful," said Kleponis. "A teenager can understand that the parents have to leave for a better life for them. [But] the early years of life is for bonding. This is where the child feels they are loved... It's crucial. When they are separated, they lose that sense of security." Reunification can go in any direction. Often times, it is a joyous occasion. One of the biggest concerns, though, is how well the families are able to adapt to each other during post-reunification. "We act like we knew each other forever," said Bailey, since living with her entire family for 10 years now. "We always bonded and my parents were happy 'cause we're all together." Bailey claims that her parents didn't expect her and her older brother to be in Guyana without them for so long. It was supposed to take three years, but it took eight. "Imagine spending a couple months with your baby and then you have to let them go and the next time you see them they are walking and talking. It made them really sad," said Bailey. The U.S Citizenship and Immigration Services process cases in the order in which they are received. Petitions for a spouse, parent or minor of a U.S citizen are normally processed within 6 months of the date received. Although there is a set time frame for the various forms of immigration cases, the gargantuan case load being tended to by Immigration Services hinders the initial length of the process and so it takes longer than intended. After filing for a relative, applicants may have to wait several years "in line" because of cases that were filed before them. 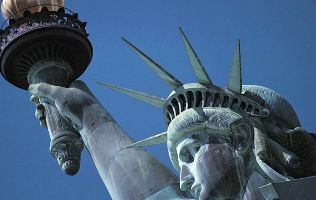 Once they reach the "front of the line," the U.S Department of State contacts the relative and advises him or her to apply for an immigration visa. In most cases, when a relative has reached the "front of the line," their spouse and child under the age of 21 can also join them. Bailey is currently a legal permanent resident in the U.S. and lives in Ohio with her parents and other siblings. But the journey toward reunification was met by some struggles to adapt to a new environment. A culture shock is normal once a child migrates from familiar surroundings to unfamiliar ones. It may be difficult for them to make friends, adjust to the school system and the climate change among other elements. "I had never seen snow, so when we landed I was like what is this white stuff falling from the sky?" said Bailey. "I saw my dad with jackets for us and I thought, it's hot why do we need that? But then I started to feel cold...I used to say 'look I'm smoking!' I didn't really understand it, I thought it was cool." Shock may spring all sorts of reactions from the child because they may have been accustomed to the lifestyles of their native home. Not only that, they may have a hard time adjusting enough to call their estranged parents, "Mommy" or "Daddy." "If my grandma had been taking care of me, that's my mother. Or my aunt is my mother. I think so because I don't know you. So when I join my own mother, fifteen years later and she is expecting me to call her mama it becomes awkward...Not just the name, but the function and the feeling that comes with that," said Rattray. Parents play a large role in assisting their children in transitioning to American customs. The act of patience goes a long way as well as a firm foundation. "Churches help people preserve the culture of their home land," said Kleponis. "When you go back to the early twentieth century in the Catholic church...there was a different culture for each Catholic church on the block...Hispanics, Italians...they knew they could go to the church and get educated." Even if they are not affiliated with any church, Kleponis said, there are neighborhoods in countries like the U.S. that are populated with people of different cultures. China Town in New York City is a popular example of this, along with the various neighborhoods that are well known for high populations of families from the Caribbean, Latin America and Europe. By keeping close to such affiliations, the elements of a child's native home may become less blurred with the passing of time. Simple components such as foods and celebrations can trigger the reality that they are in a safe place that is now their home. "Time, attention and concern are the three main things that parents should consider during reunification," said Rattray. "Many things may have transpired while the parents were gone, the child may have been abused emotionally or physically, or they may have had a great life with the family they were with." Above all, the new bond between the parents and child will gradually help in the child's emotional and psychological development. Ozuruonye keeps his spirits lifted by reading a verse of scripture from Mark 10:27: "with God all things are possible." He meditates on this verse daily, keeping hope that his family will soon be together again. It is always a huge problem with long working hours and managing valuable family time the same time. Unfortunately, too many parents have to work over hours and have to be aware of a certain financial importance. However, more people are coming to the US to live freedom and their dreams. Immigration and separation from family members is not really the right option, whereas a lot of people are living towards it. It reminds me of mid-east workers, who migrate far for work. Globalization at its highest peak. The topic is a very touching one and nobody can really understand what it's like unless they are in the shoes of the families who experienced such distance. I definitely agree that a strong foundation helps a lot, as well as love for each other. I'm not sure if "barrel child" is the right term. I mean, sometimes it may be too much trouble to send a barrel. I remember my mom sending a box with school supplies when I was in my native Guyana. Or she would send money to my dad. So glad a story was covered on this phenomenon! This has always been an intriguing topic for me as an educator. So often we see parents struggle emotionally because they believe that they are providing the best life for a child who is rebelling and not performing academically. Also, on the other hand, we see children struggling to deal with the socioemotional aspects of the change who under different circumstances would have excelled with much ease. The catch, however, is that the sacrifice made sometimes pays off and has great longterm benefits for all parties involved. Great work Mrs. Marshall your novel has touch the core of many cultural & ethnic backgrounds. The settings was perfect, New York City is very rich in diversity with various immigrants from different walks of life. As a barrel child myself this book transcend and provoke memories of migration. Finally our story has been told.